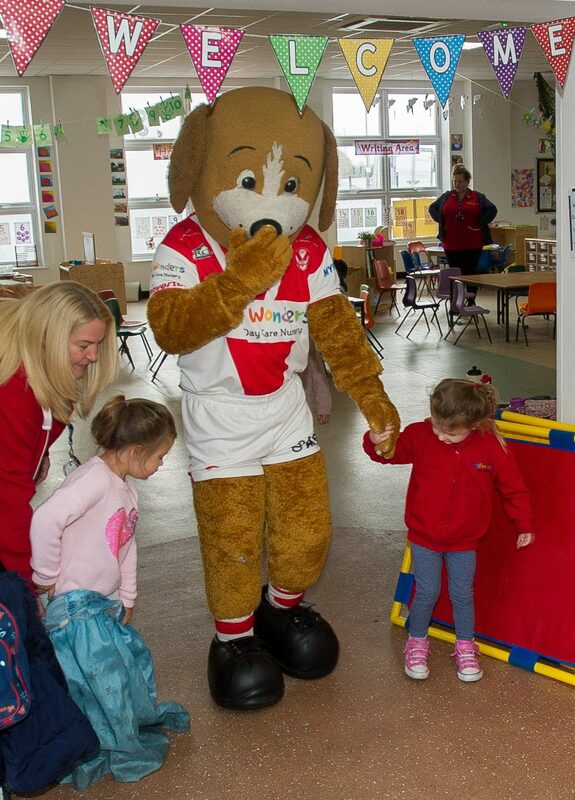 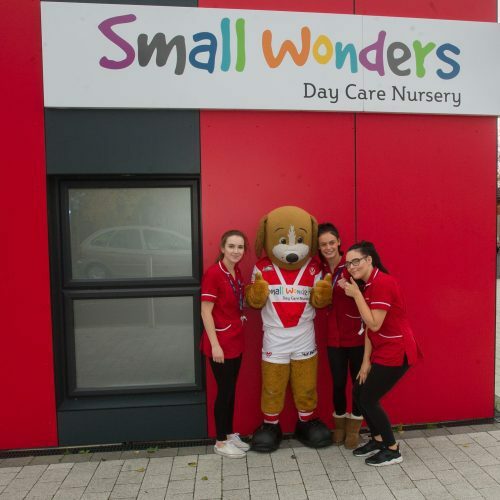 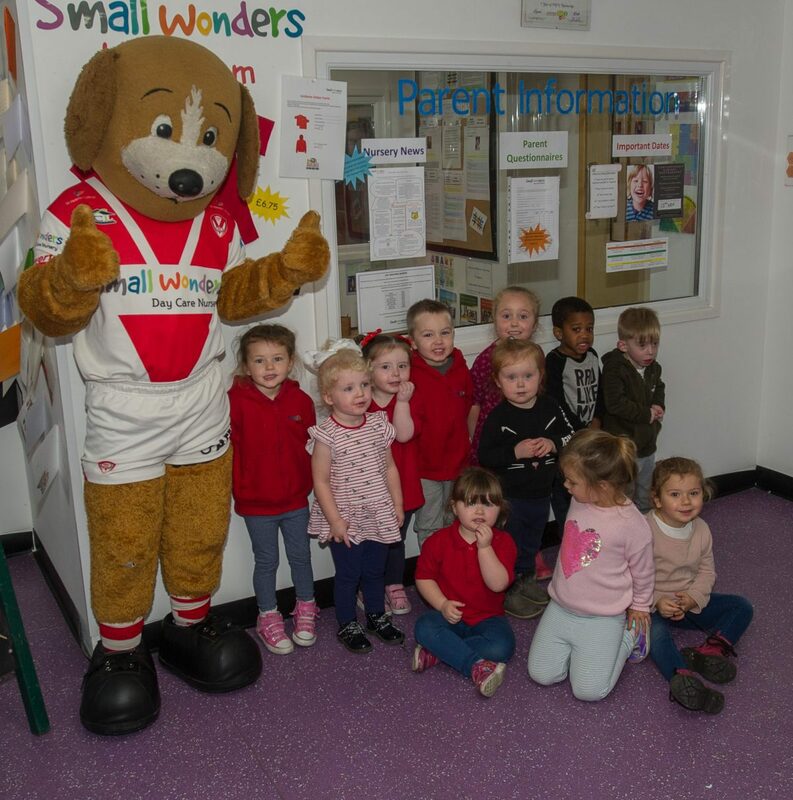 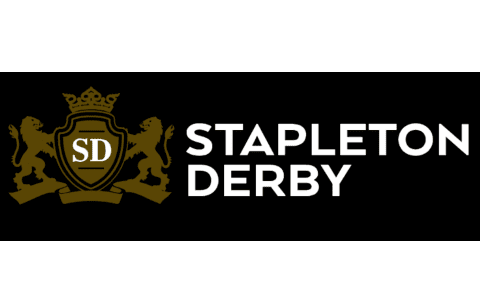 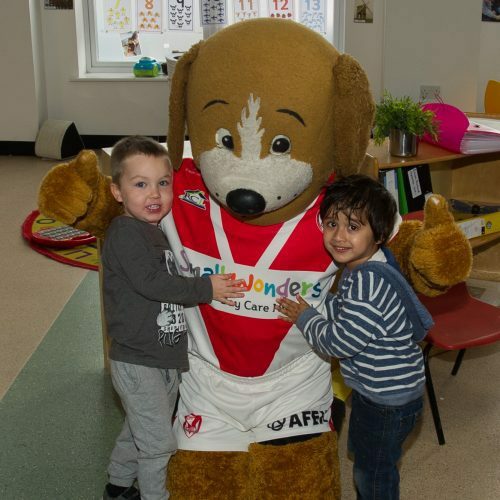 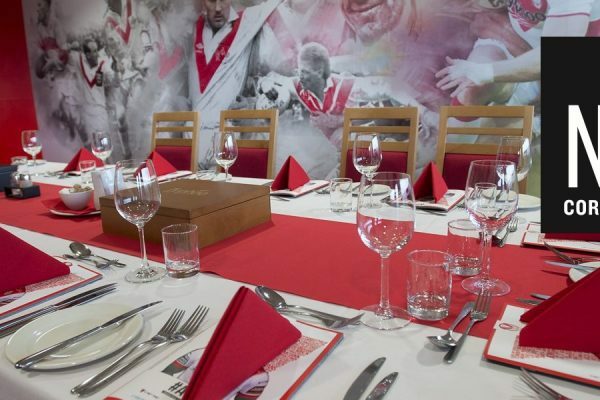 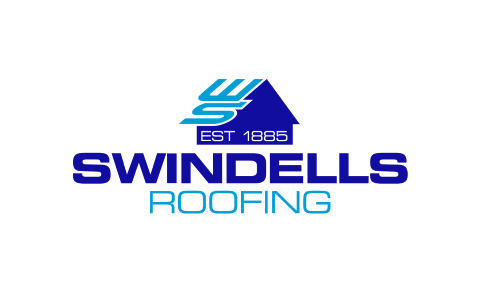 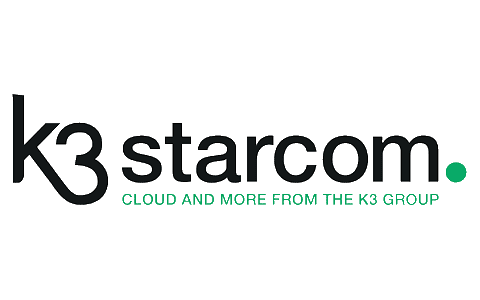 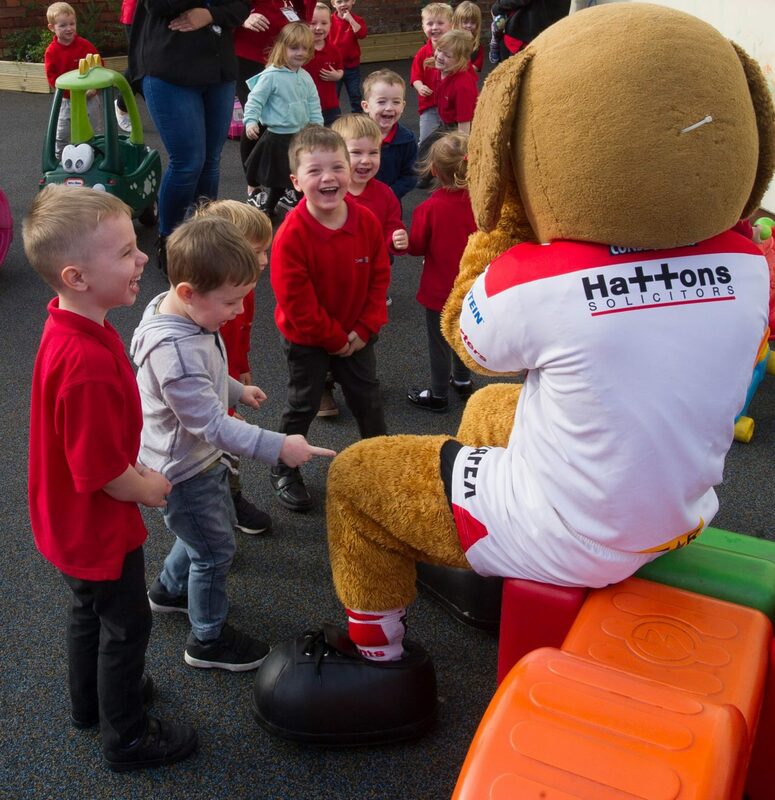 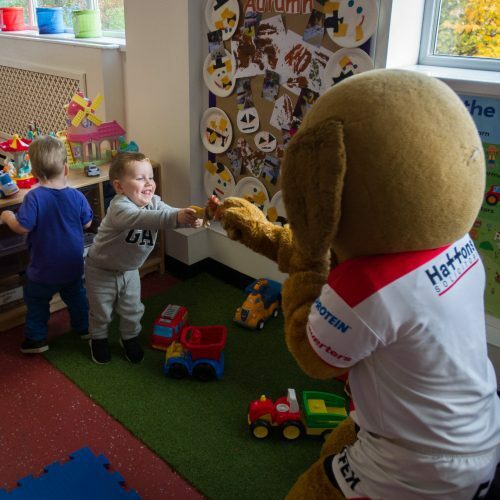 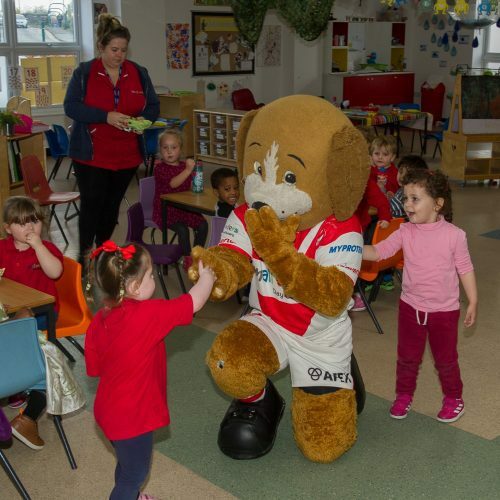 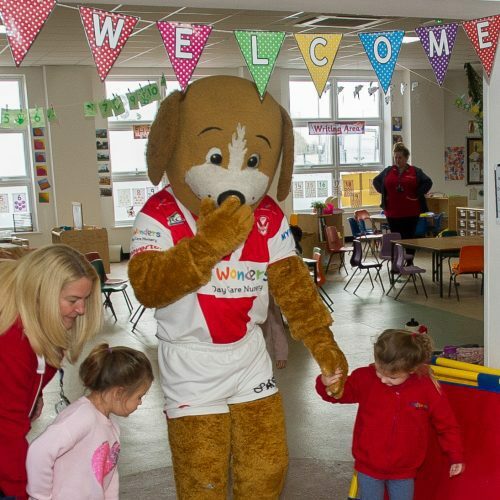 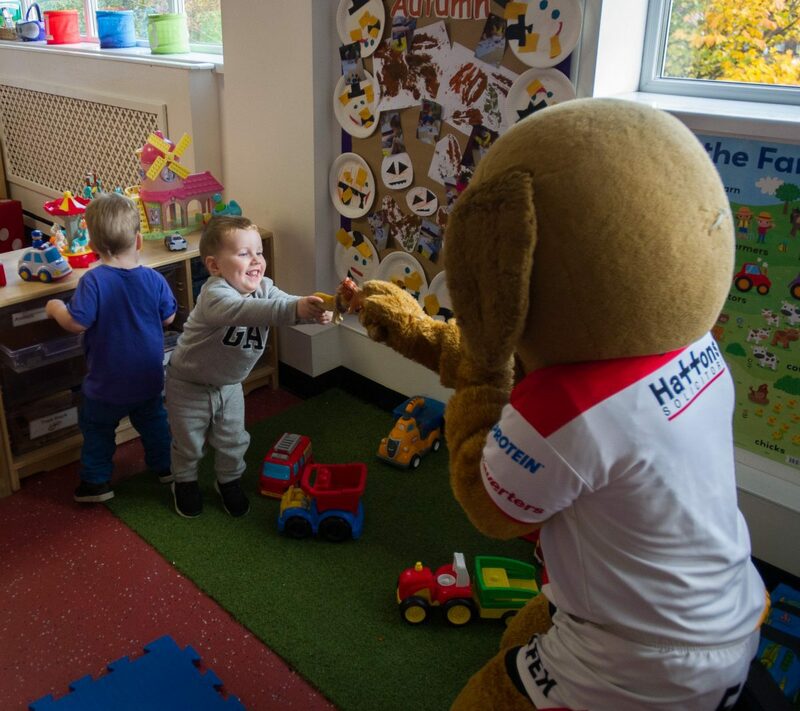 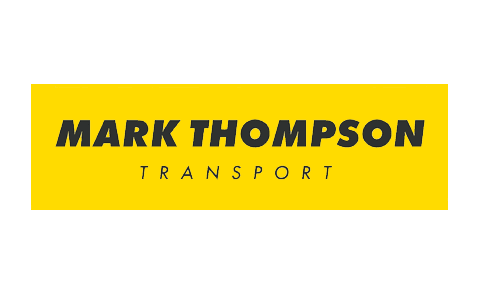 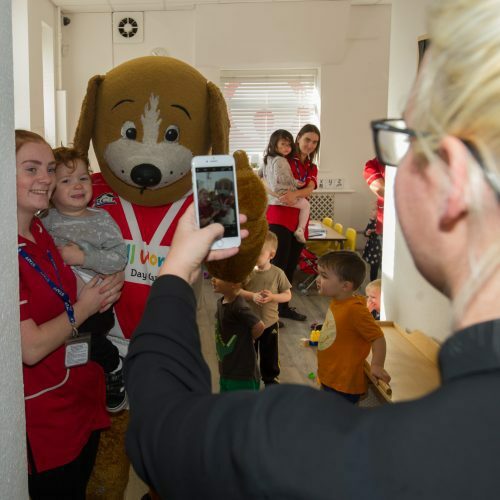 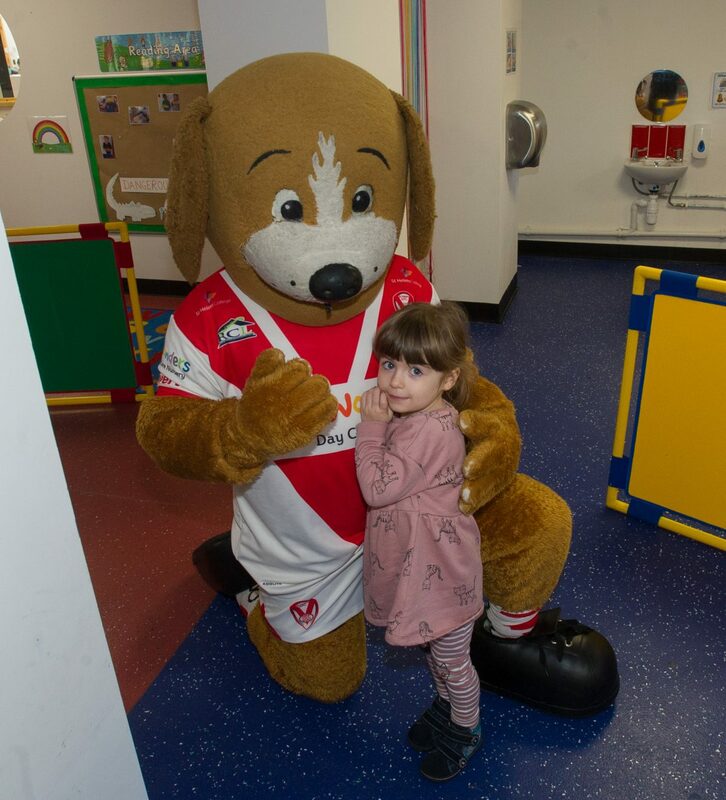 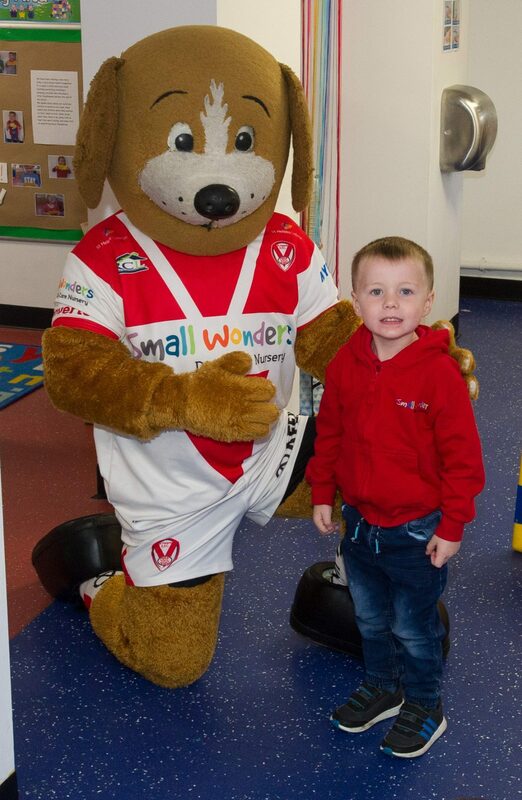 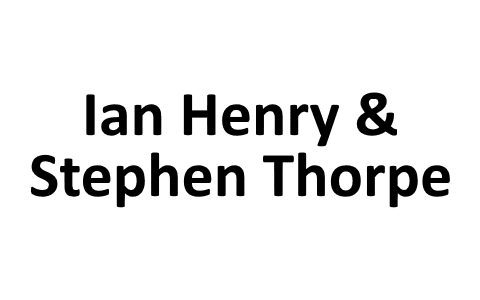 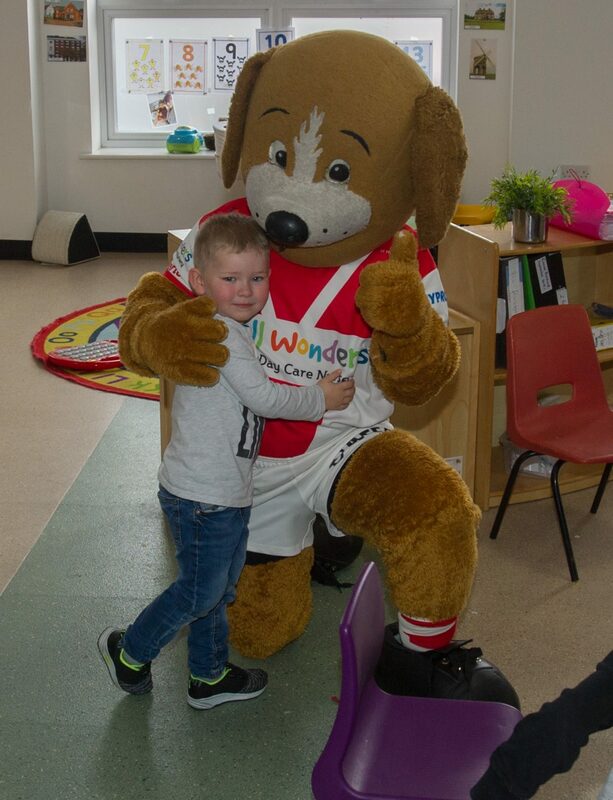 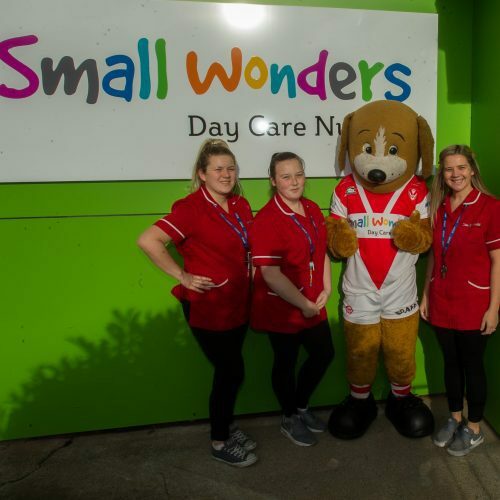 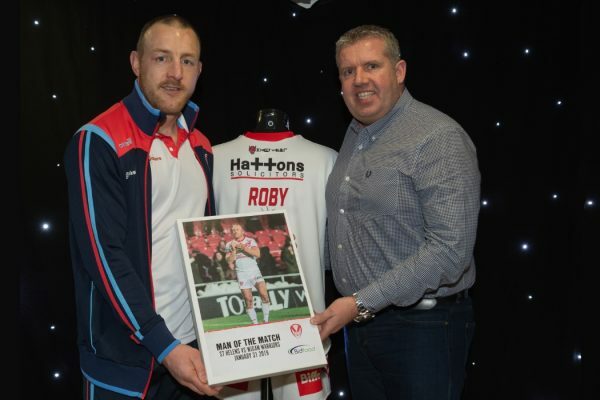 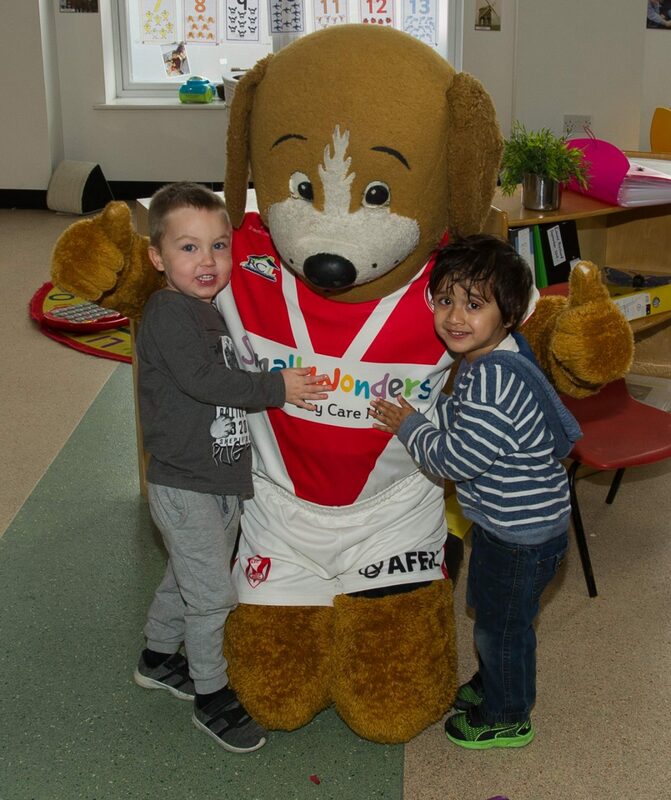 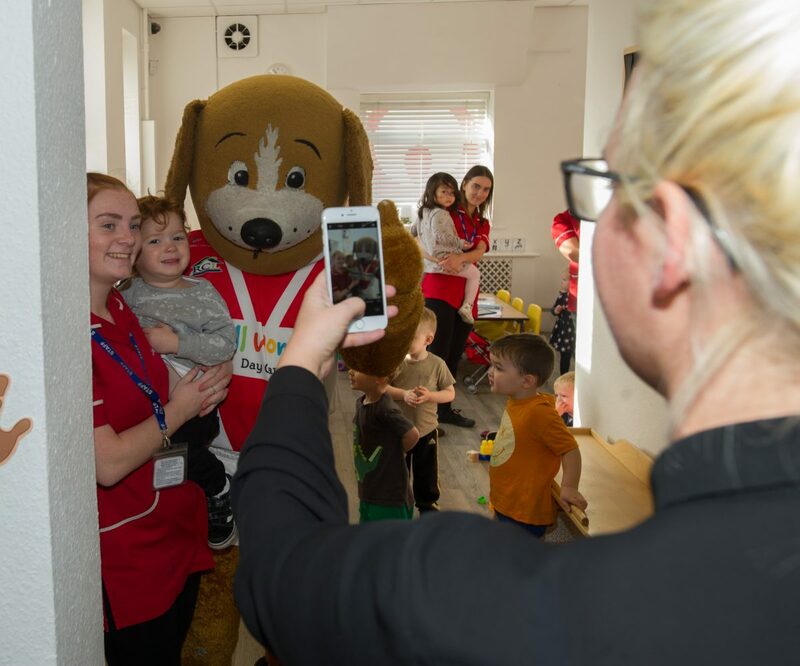 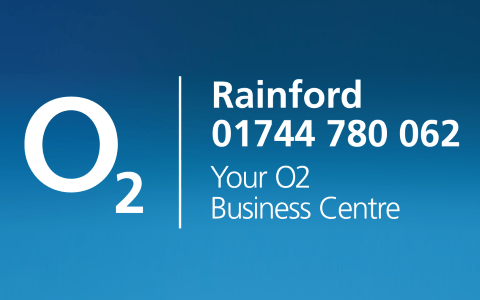 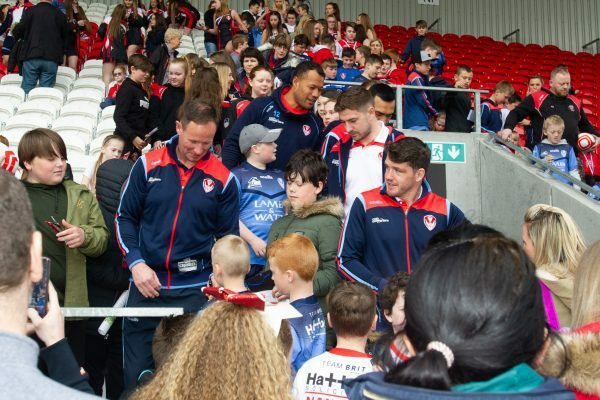 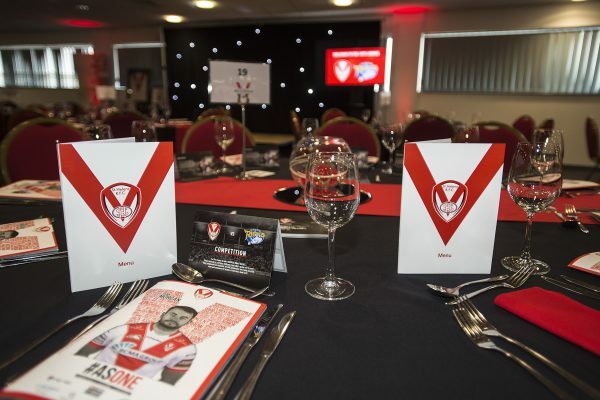 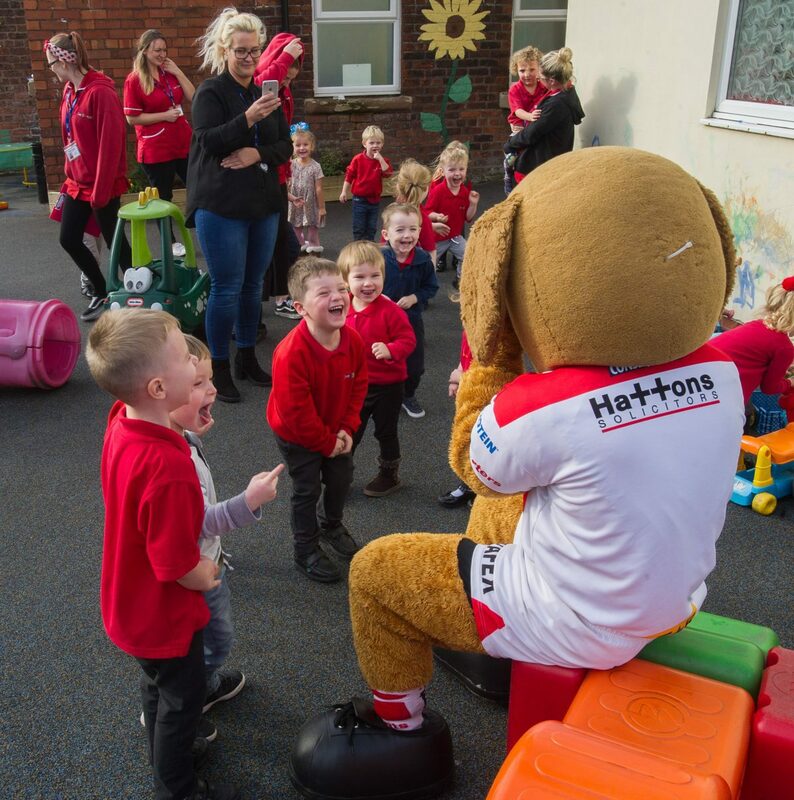 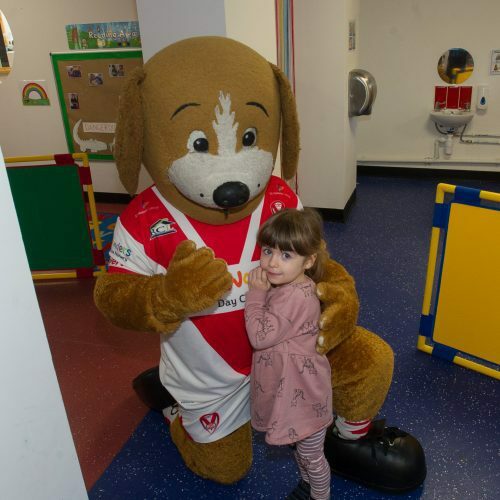 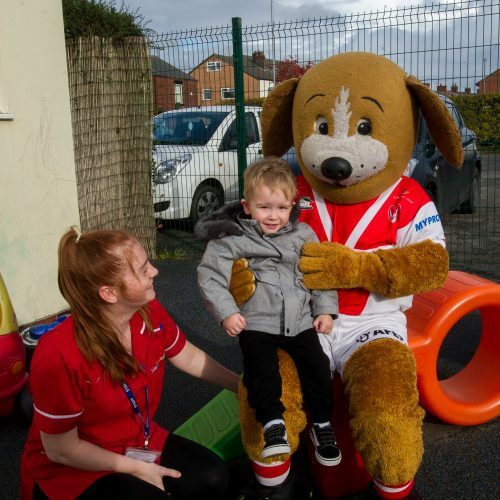 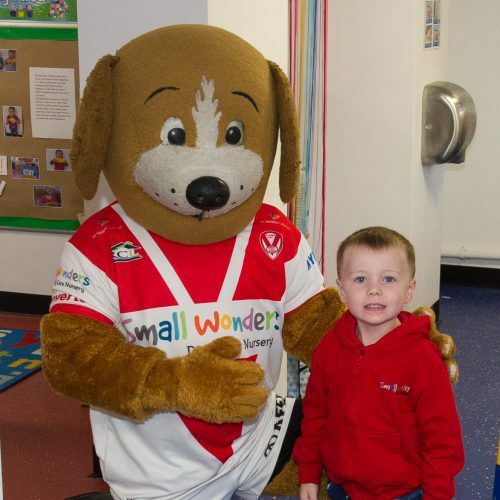 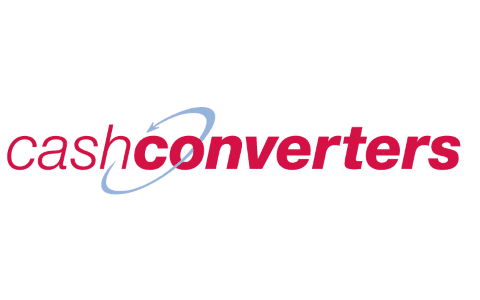 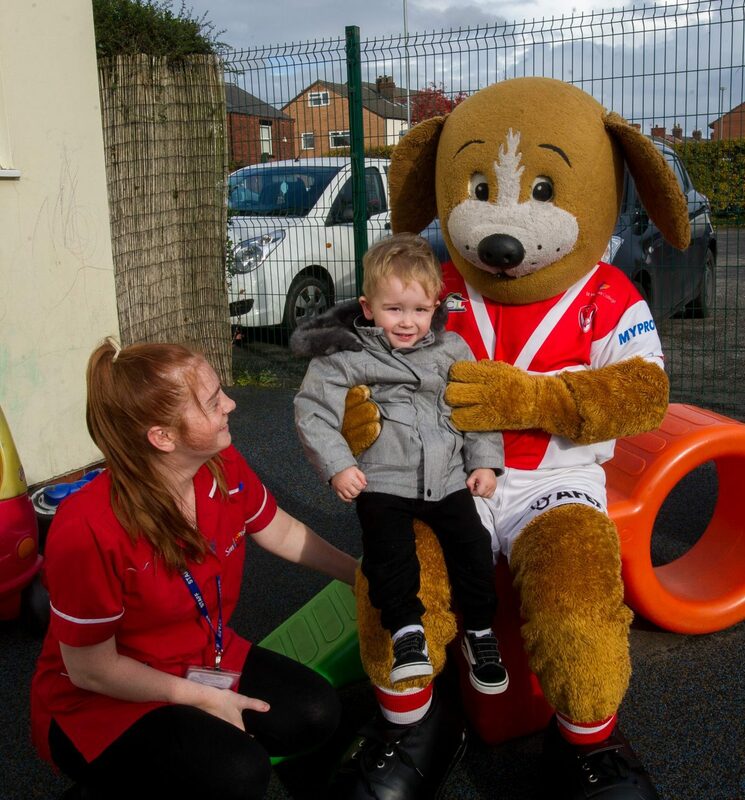 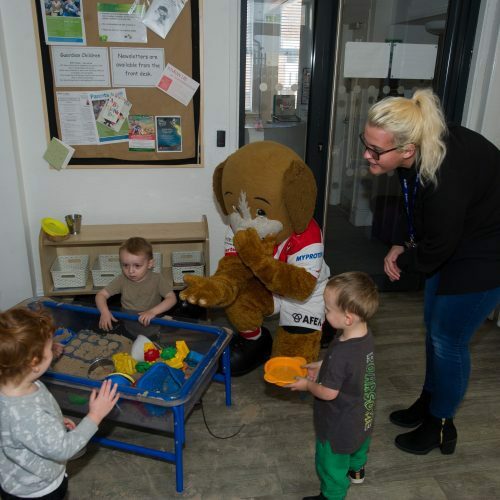 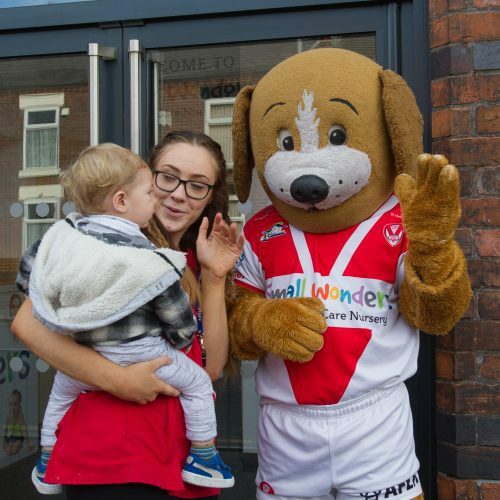 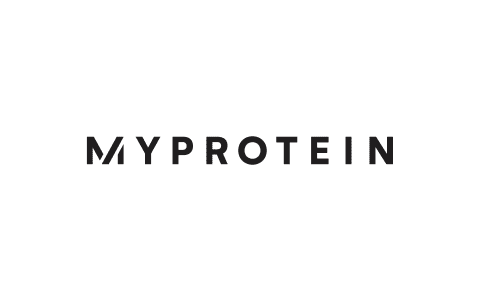 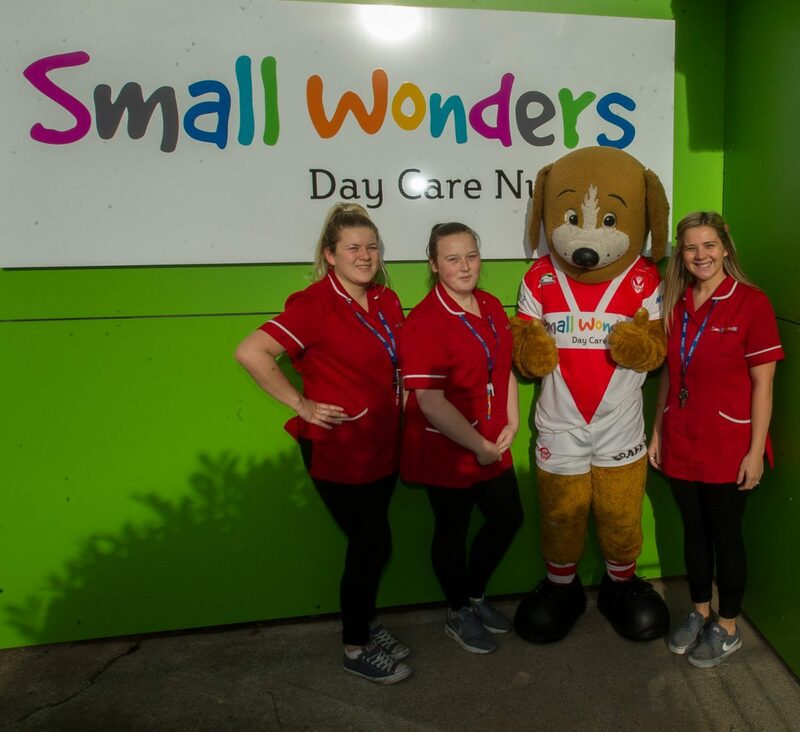 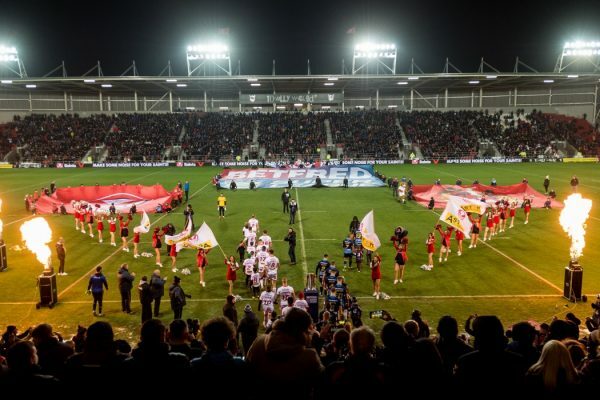 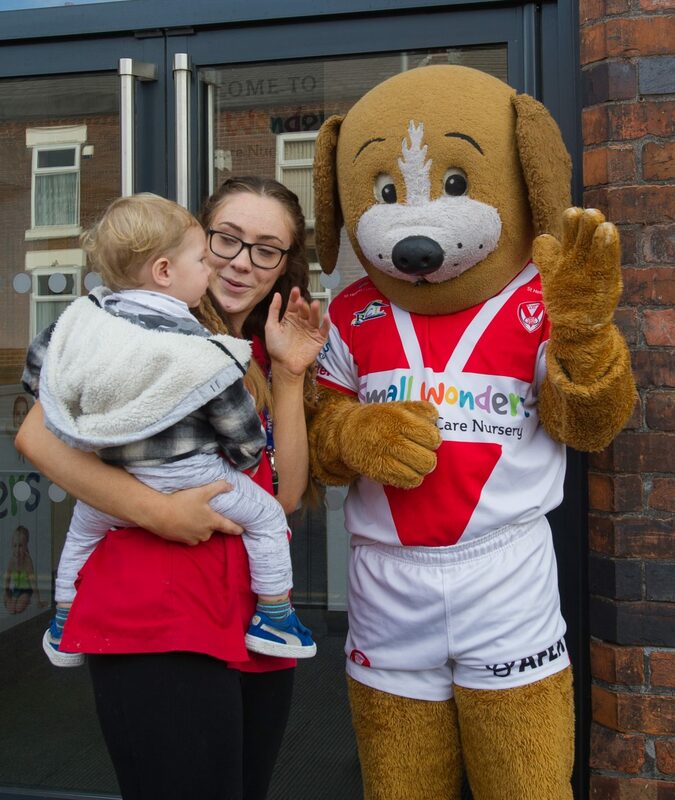 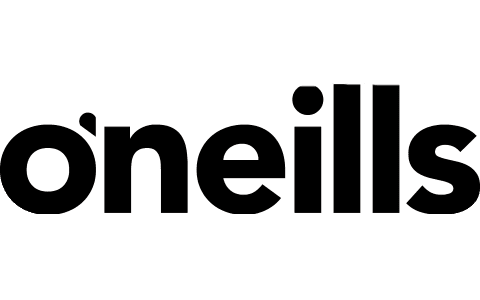 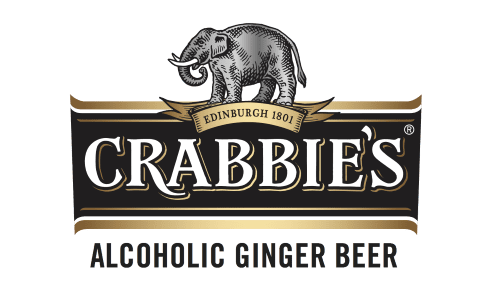 Boots Calls Into Small Wonders | St.Helens R.F.C. 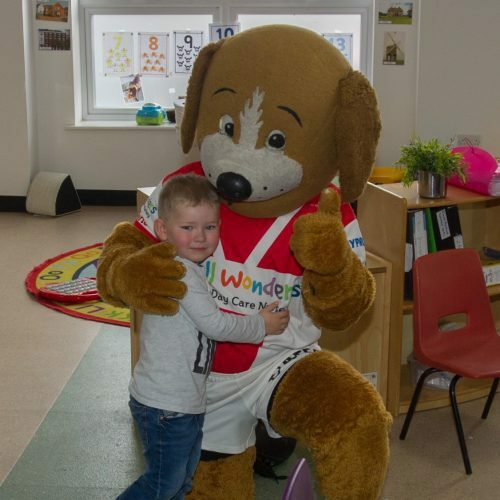 Boots made a special visit to his sponsor Small Wonders this week! 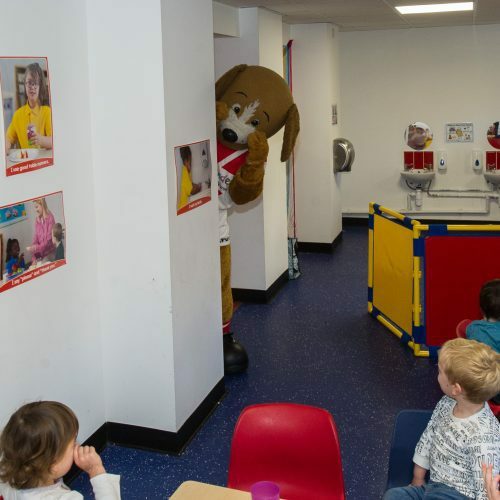 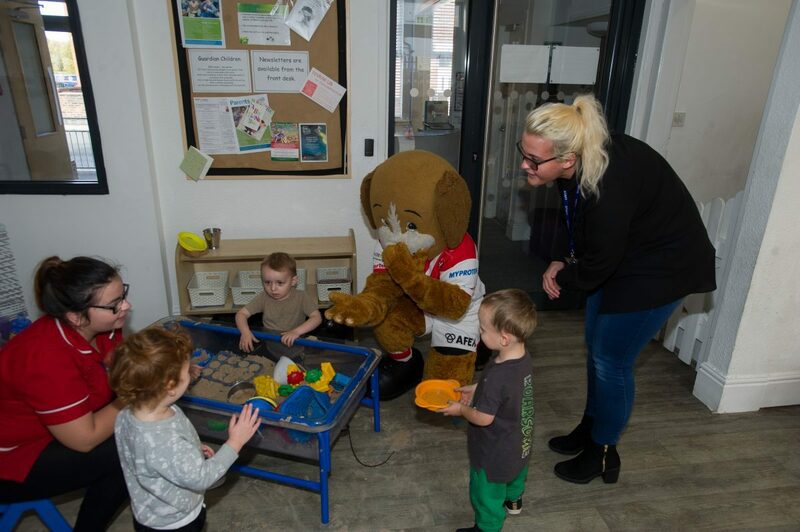 He called into the nursery’s centres at Thatto Heath, Peasley Cross, Haydock and Sutton to say hello the kids and staff. 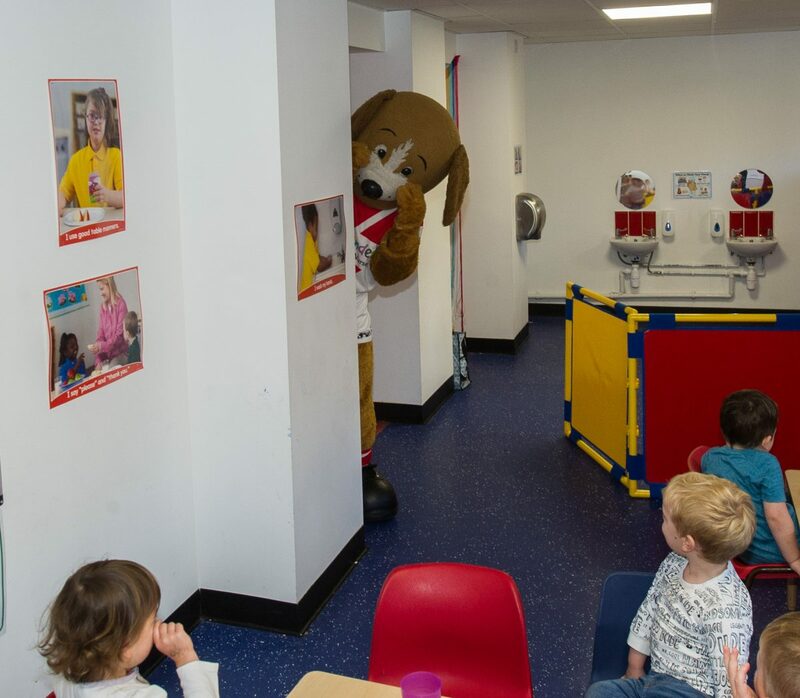 And, as you can see from the pics, everyone had a great time. 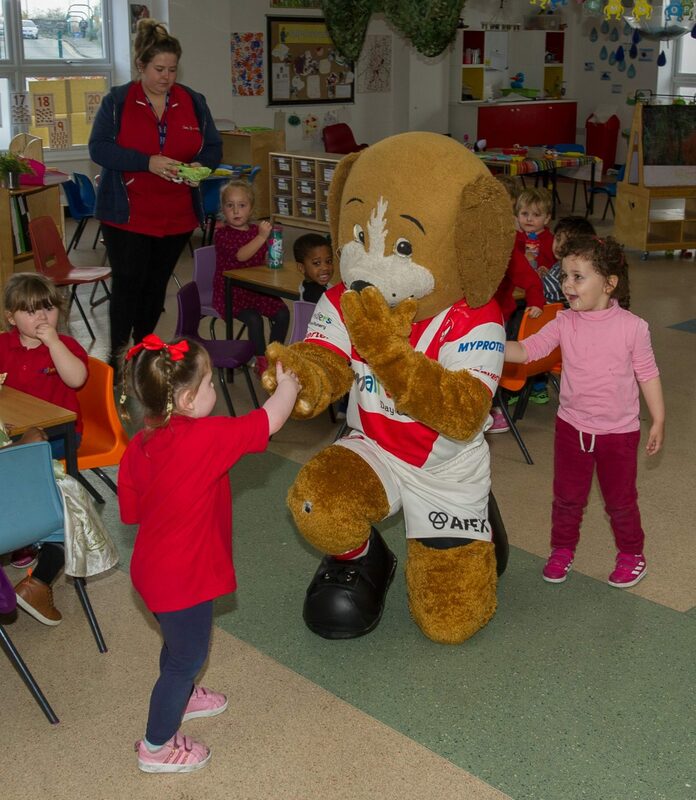 Boots even did the famous Baby Shark dance! 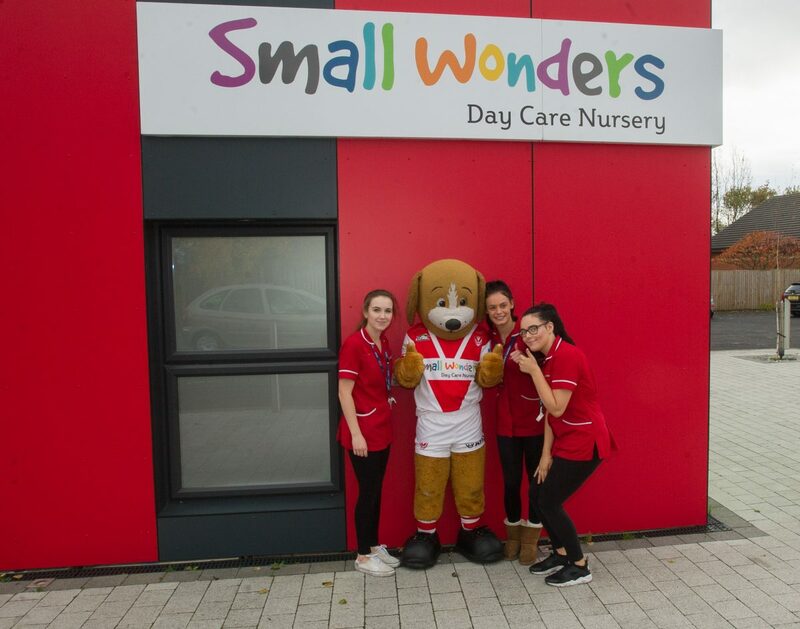 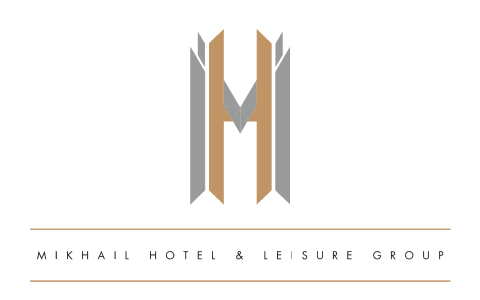 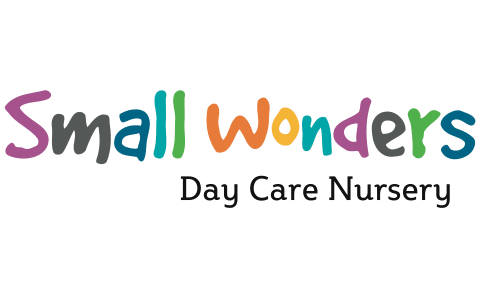 He, and everyone at the Foundation, would like to thank Small Wonders for their hospitality and look forward to working with them again this season.